Rooms in La Posada "Classic"
Rooms in the new "Blue House"
We have 15 rooms. Nine of them are in La Posada "Classic," the original hotel on the site. Six are in our new addition, "The Blue House," on the same property, separated by a garden and patio. 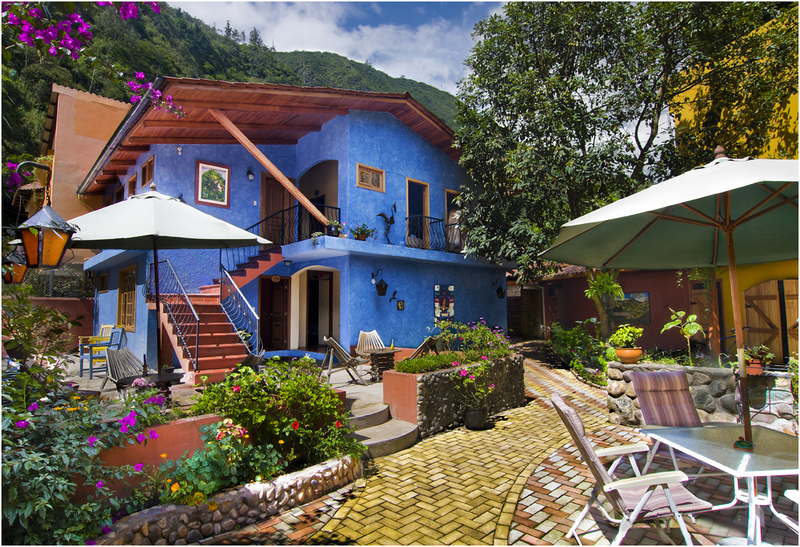 All rooms are decorated with original Ecuadorian art, and have private baths with hot water all hours. No rooms have television. 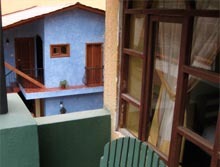 The quality of accommodations in the Blue House equals or exceeds that of the original 9 rooms. 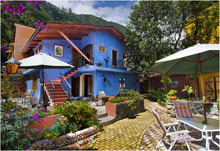 Every room at La Posada del Arte is unique. Some have a jacuzzi, fireplace or private balcony. 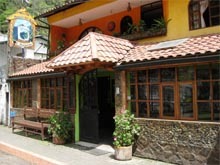 Room price depends on how many people in the room and includes full breakfast. Add 12% tax. Kids ages 0-4 years, free. Ages 5-12, $17.